See why thousands of gamers love our website hosting. Grow your community huge! Recruitment features make it easy to accept or reject your applications. 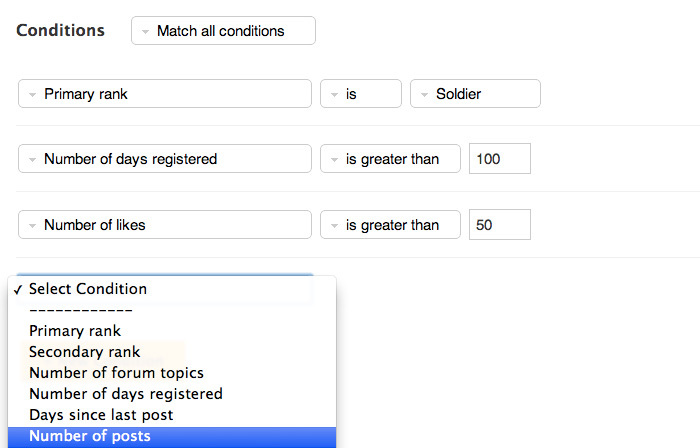 Build highly customizable recruitment application forms, with automated rank upgrades and roster assignment. Power packed forums make communicating and engaging with other members easy! 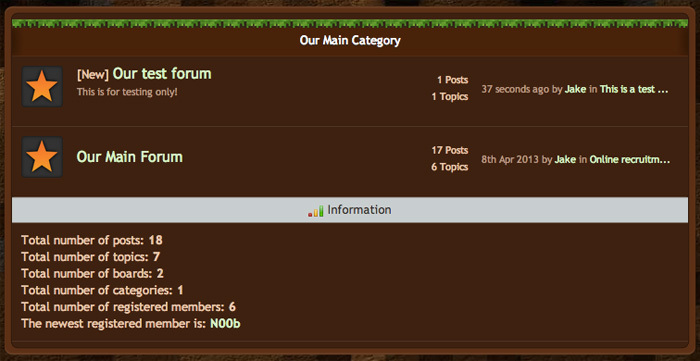 Our fully featured forums come with complete moderation controls, file attachments, subscriptions and notifications. Join the discussion! Simple, minimalist and easy to navigate makes website administration a bliss. Tweak themes, add features, manage your members and every other aspect from your central command room. It's awesome. Put your website on auto pilot and automate everything. Powerful automations simplify and eliminate mundane, boring, daily tasks, such as rank upgrades, sending emails and issuing awards. The possibilities are endless. Customize and tweak your website theme to your exact requirements. With over 100 templates to choose from, there's something for everyone. Just click a section, make changes and see the preview. Get creative! Host competitive tournaments directly inside your own community. Organize single elimination, double elimination and round robin tournaments with ease. Our tournament manager takes care of all the brackets and complexities for you. 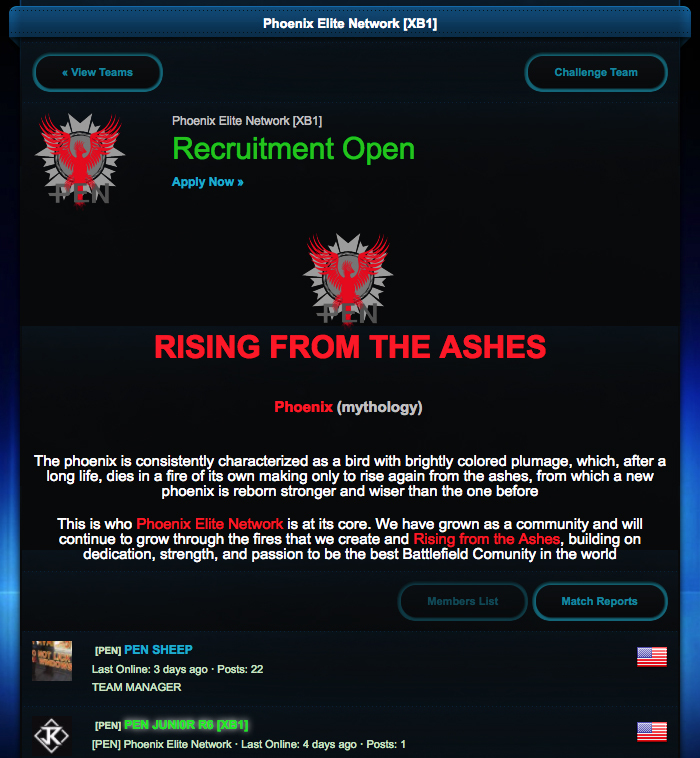 Are you a competitive team and regularly play against other clan & guilds? 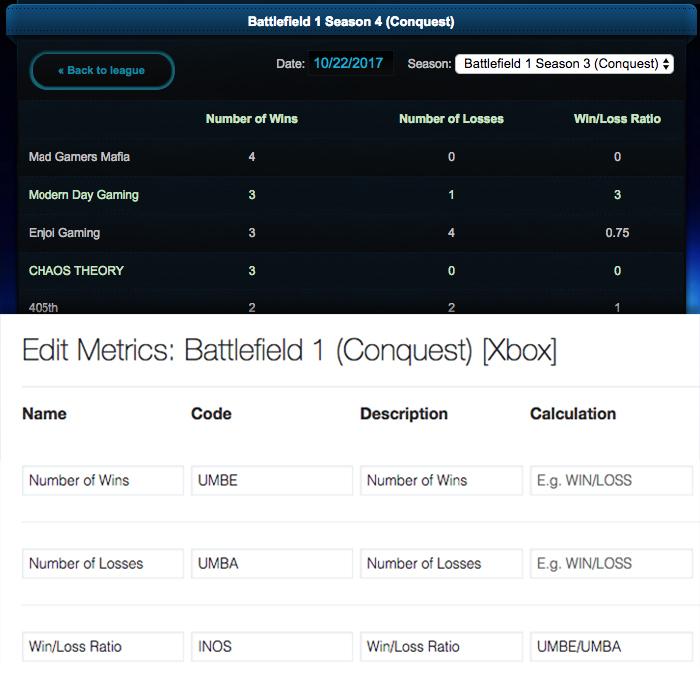 Showcase your team by recording match details and display your win/loss statistics. Upload and download gigabytes of files through the web and FTP. Host all of your gaming files in one place and experience super fast world wide download speeds. Keep your members updated by sending them newsletters directly to their email inbox. Have important updates? No problem! Punish and warn those misbehaving members. 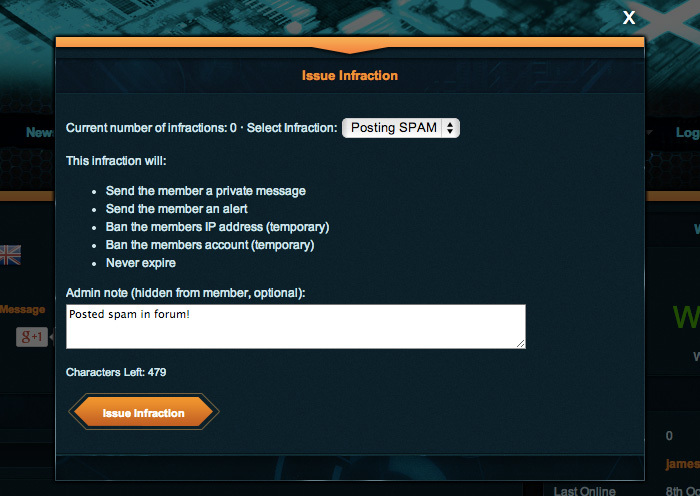 Infractions come with automatic banning functionality and private messages based on your settings for each infraction. Keep law and order! Setup your own voice server and communicate with ease while in game. Our crystal clear, low latency servers are strategically hosted in the US, EU and Australia. Choose from TeamSpeak 3, Mumble or Ventrilo! Highly customizable popup announcements based on different triggers make it easy to communicate important messages as visitors browse around your website. Chat to your buddies in real time, from any page! Chat to your members individually or setup group chat rooms and control who can access each room. Segment your members into different ranks. Use these to control which members can access different parts of your site. Advanced statistics recording feature that lets you measure how your members are doing. Setup highly customizable leaderboards and allow your members to update statistics by submitting reports. 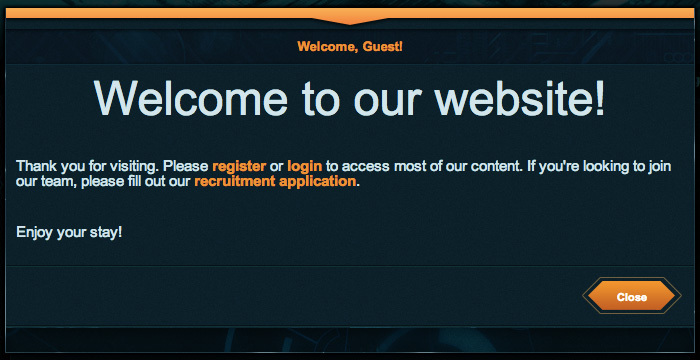 With hundreds more features, our gaming CMS is the ultimate hosting platform for your clan or guild.